I’ve been listening to old music and watching vintage films lately, and I’ve decided to post some examples of old/vintage movie posters that really give me nostalgic feels, most of these are from before my time but they still take me back, they have a really weird effect on me that I can’t describe… but I love it. 1. Sunset boulevard 1950: An amazing movie for its time, this poster really captures the spirit of the movie. 3. lawrence of arabia 1962: I love this one, really makes you wanna go see this movie doesn’t it? 4. Vertigo 1958: Simple…yet amazing. I like this poster, and I like the film even more. 6. 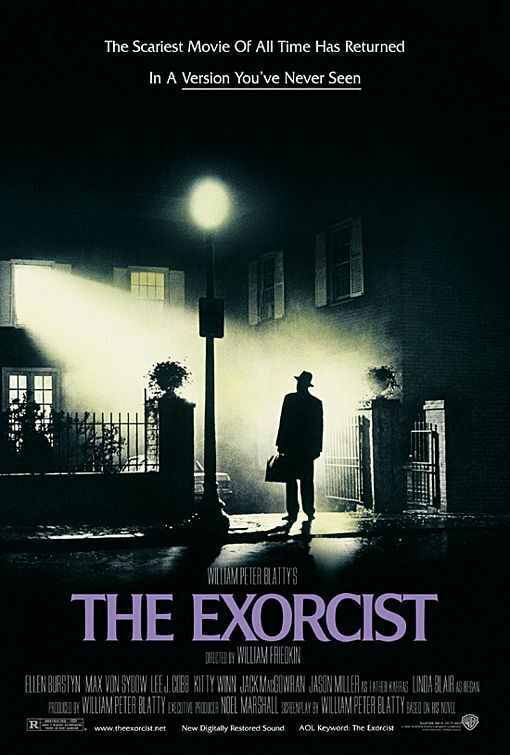 The exorcist 1973: Ahhh…a nice little flashback of all the nightmares I had when I first saw this one. 7. The war of the worlds 1953: The originl movie, not the one with Tom Cruise. Please leave a comment if you liked these! What are your favorite old movie posters?